The Registrar-General’s Office is co-operating with the Zimbabwe Human Rights Commission in its inquiries into allegations of delays in the issuance of passports and national identification documents. 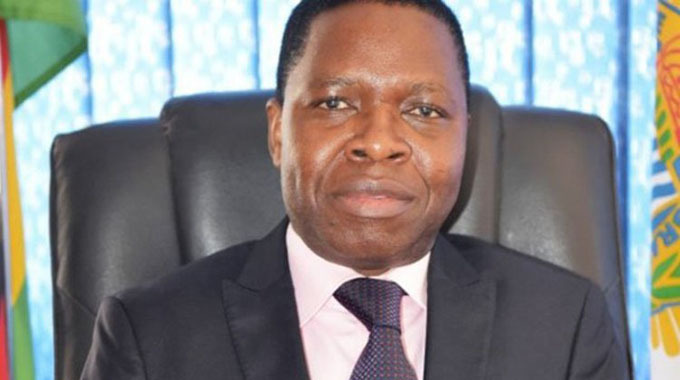 “I am aware the Zimbabwe Human Rights Commission is carrying out an inquiry following complaints by some members of the public or sections of community that they were getting challenges in accessing our services, especially getting IDs and birth registration for various reasons,” he said. “And when we exhibit we issue birth certificates on the spot and any other services that we can dispense outside the normal office, but obviously we can’t process passports,” he said. “What we can do is we issue passport forms. “But, however, in the circumstances I wouldn’t want to comment on what the commission is investigating, but those concerns have been brought to our attention. “The department is represented in all provinces, the 10 administrative provinces,” he said. “We also have offices in 62 administrative districts and we have over 200 sub-offices countrywide. So, in terms of decentralisation I think we are fairly decentralised because we are almost everywhere. Yes its public knowledge that ordinary pple’s Documents are deliberately with held well after they are printed & done with (any normal person wld actually be seriously worried if ED himself really doesnt know about it). The purpose obviously being to push the documents’ owners to pay bribes. You pay bribe, then in an hour or less Document(s) (Passport, etc) that you would have been told are not yet processed & turned away a dozen times immediately become available – with dates clearly indicating the Document had been finalised some two/three weeks or even months ago. Of course, as usual ED & his ministers will proclaim ignorance & even appoint family & friends as “Commissioners” investigate. Wodoshaya kuti saka hama neshamwari dzavo who are full-time employees as CIO basa ravo nderayi kana vasinganzwi kana kuona Corruption iri kungoitika in borrow daylight & at unbelievable proportions. Vakomana ka. Musadaro vamwe venyu. Inga mutauro ganda takafanana wani – kusiyana mutupo chete. Saka sei muchitidaro shuwa – munomboda kuti tidini chaizvo?